The Home Ministry has raised multiple concerns over using Unique Identification Authority of India number as an address proof in the DoT's proposed online verification system, saying the supporting data in Aadhaar may not be authentic or genuine. The Home Ministry said that 'Aadhaar' is strong on ensuring unique identity, ‘however, uniqueness of identity is not a necessary condition to ensure authenticity of identity or genuineness of other entries or records of Aadhaar number’, sources said. The ministry has written to the Department of Telecommunication sharing its view on accepting Aadhaar as valid proof of address for e-KYC (Know Your Customers) programme. The Home Ministry has raised concerns over supporting documents submitted by people as proof of identity and proof of address for getting a Aadhaar number, a source said. The DoT is working on proof of concept (e-KYC) to use Aadhaar number for online verification of people seeking mobile connections along with existing process of customer verification. Aadhaar card can be also issued to foreign nationals staying in the country, which has also been questioned by the Home Ministry as nationals of neighbouring country may attempt to use it to procure Indian identity documents for infiltrating their agents. therefore, "even higher levels of error in these documents may not translate into comparable volume of security concerns". It said that Intelligence Bureau is neither aware of back-end systems, e-processing and e-auditing existing in UIDAI, which issues Aadhaar, nor knows how data is transmitted between units of UIDAI and how data are stored. The Home Ministry has also raised concern on involvement of foreign vendors by UIDAI for storing data and has suggested audit of data security. Sources said that introducer system provision, under which people not having supporting documents as ID and address proof can also get Aadhaar number if he is introduced by a person owning a Aadhaar number, has been questioned by the Home Ministry. 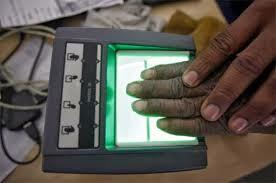 AADHAR: Union Cabinet of Ignorance!